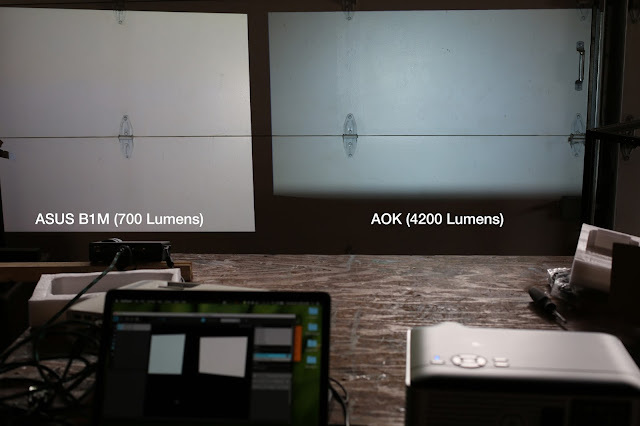 On Amazon there is a listing for a $400 4,200 lumen LED projector from the AOK brand. A great benchmark for comparison is the Epson 1960 Powerlite. 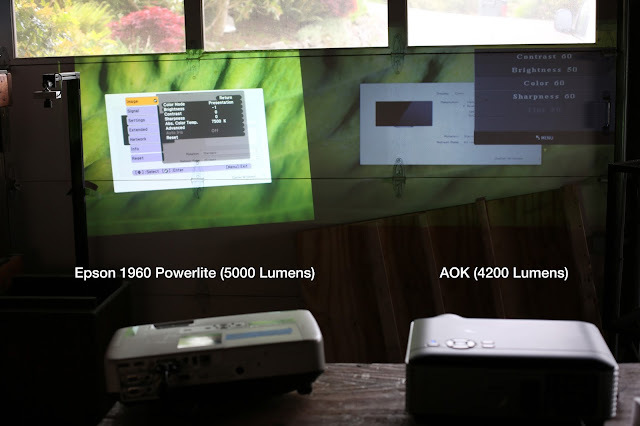 A great projector that ruthfully outputs 5,000 lumens. One step further, there was an ASUS B1M LED projector to compare it to. The ASUS runs at 700 lumens. Even at 700 lumens it was still much brighter than the AOK, rated at 4,200 lumens.